From their front porch earlier today, Larry Murrow and his wife watched four workers fix the power lines across the street. 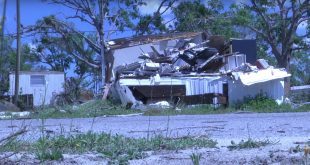 The couple sat calmly on their cushioned seats, despite the fact that their Palatka home was the only house on their street without power after Hurricane Matthew brought destruction to many of Florida’s eastern communities. 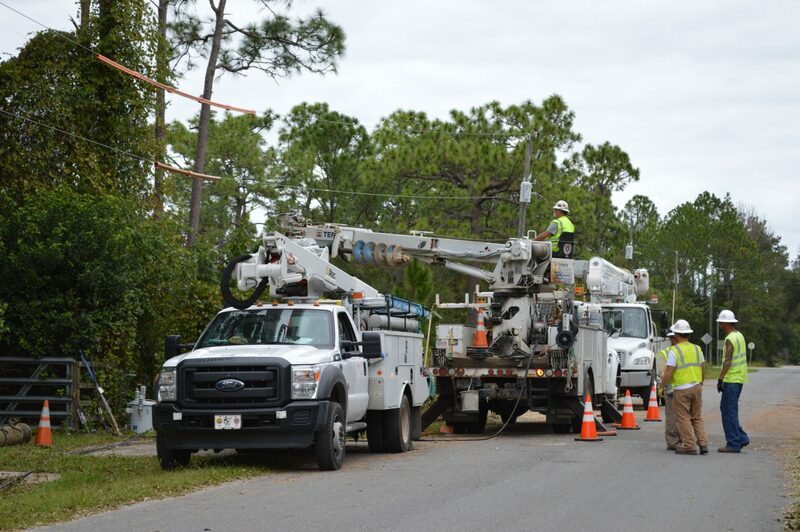 Murrow, 69, said the hurricane has been difficult for both residents and electrical workers. Many in Putnam County are like the Murrows: waiting to have their lights turned back on. As of this morning, 2,500 Putnam County accounts were without power, said Paul Flateau, a captain with Putnam County Emergency Services. 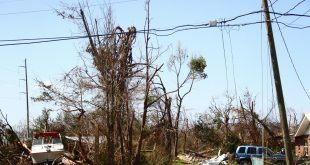 But by 4 p.m., that number had been reduced to 570, according to Florida Power and Light’s website. The county is still assessing damages while it works to clean up and restore power, Flateau said. Meanwhile, citizens are asked to place their debris along the road in advance of the pick-up that’s set to start Wednesday, he said. The Red Cross has 12 trucks in the area that began distributing food in highly impacted areas today, Flateau said. The arrival of the trucks will be announced by loudspeakers as they drive along the road. If a citizen has a neighbor who is elderly or immobile, he or she should “assist them in whatever way possible so they get the food and water that’s being distributed,” he said. 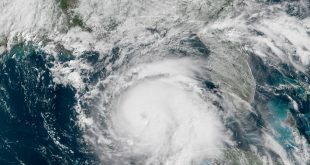 However, one of Flateau’s main concerns has been the effect of the storm on the St. Johns River, which runs through the eastern part of Putnam. Flooding caused a great deal of the property damage in the county, he said. “We had many, many homes that were completely washed out,” he said. 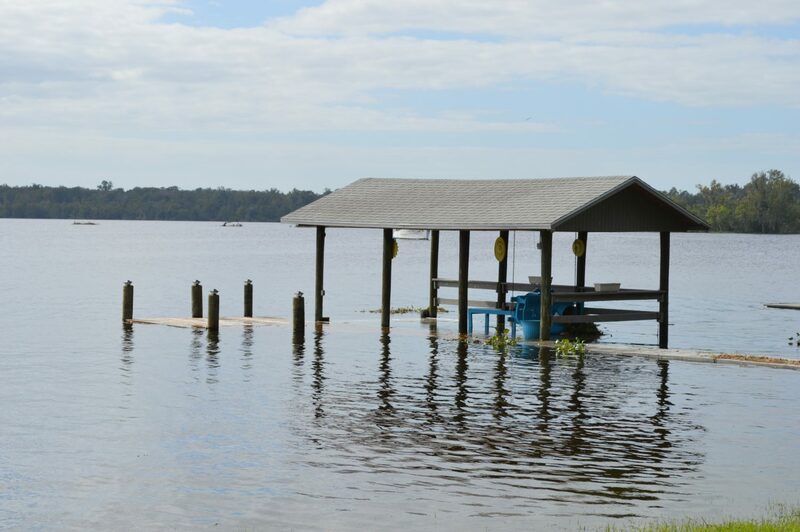 From his Palatka home earlier today, Len Freeman said he feels fortunate his home had only minimal damage despite being across the street from the river. Freeman, who worked for the water management district for 20 years, said he hasn’t been worried about the high water levels because the river has many acres of overflow space for rising water. “But in this storm, it took up a lot … of space because we saw water right here in our front yard higher than we’d ever seen in 35 years,” he said. 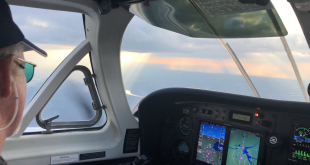 Though the county is working quickly to fix problems caused by the storm, much work still needs to be done, Flateau said. Citizens should try to drink bottled water until the well water can be tested, Flateau said. He also wants citizens to be cautious when dealing with generators and gas. He said citizens can call 386-329-1904 or visit putnam-fl.com to get the latest information on what’s going on.